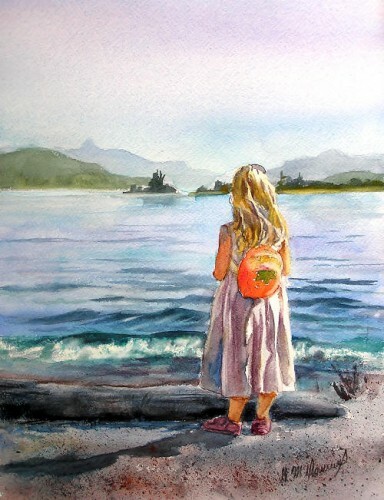 Iâ��ve painted for more than thirty years and watercolours for the last twenty six years. The luminosity and flow of the medium fascinated me. Painting allows me to communicate in a way that is nonverbal. Art is a passion thatâ��s never satisfied because there is always the next painting that holds the promise of success or failure. 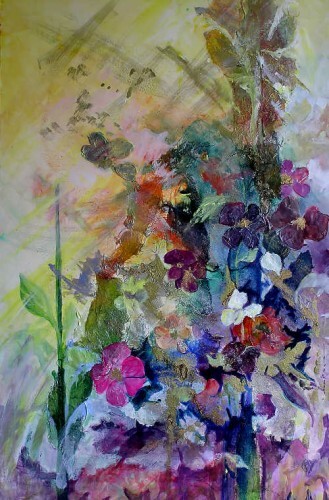 For me painting is a way to explore both the physical and spiritual world. 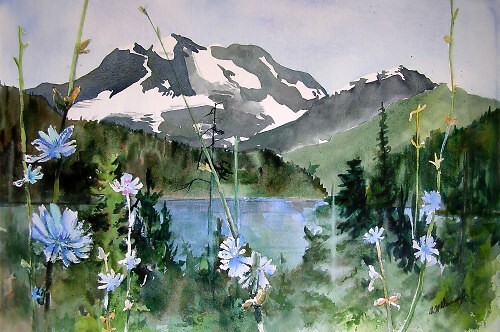 My art education includes artists from Canada: Allisandra Bitelli, Carl Koger and Rita Edwards. From the US: Linda Doll and Alex Powers. Art awards include: Saanich Peninsula Arts & Crafts, jurorâ��s choice, Sooke Fine Arts, purchase awards and peopleâ��s choice awards and Federation Of Canadian Artists Victoria Chapter, honourable mention. I am an active member of the Federation of Canadian Artist, Comox Valley Chapter, Comox Valley Arts Council and the Pearl Ellis Gallery. My subject matter is varied. 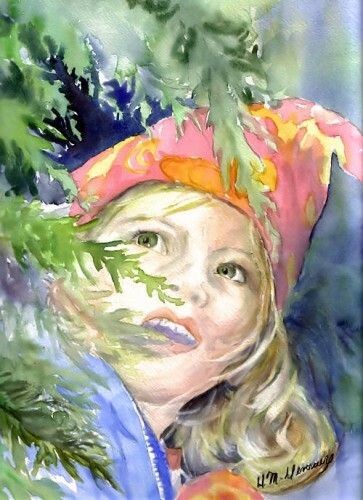 I started painting children at play in January 2005 in the series I call Fairies Live Here. In these paintings I am working to capture the exuberance and innocence of childhood. 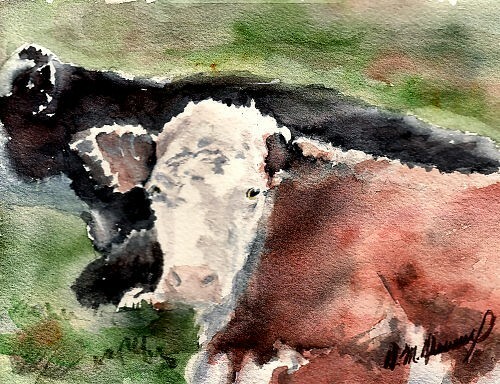 I also paint cattle, flowers, birds and landscapes. The landscapes often include flowers or water. Upcoming shows include: Originals Only in Comox, Artsfest in Nanaimo and Artisans Festival Kitty Coleman Woodland Gardens in Courtenay. Fairies Are Out There is about a little girl's dreams and hopes. I love the play of light and subtle shadow in her hair and dress. Girl Talk is about my favourite cattle. These cows were all expecting. I like the contrast of colours in the Hereford and the Holstein. I wanted to portray the excitement and zest for life that this little girl has. I used acrlyic gel, paint and metalic gold in this piece to create texture and excitement. The painting is done on linotec 6000.